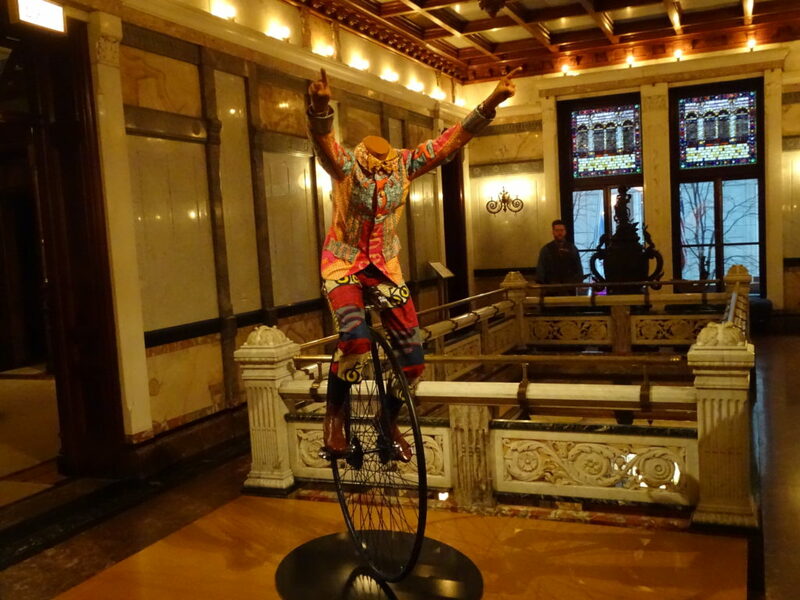 Some strange, beautiful sights have been spotted at the Driehaus Museum. An absurdly vibrant, feast that only the likes of the Mad Hatter would have hosted. 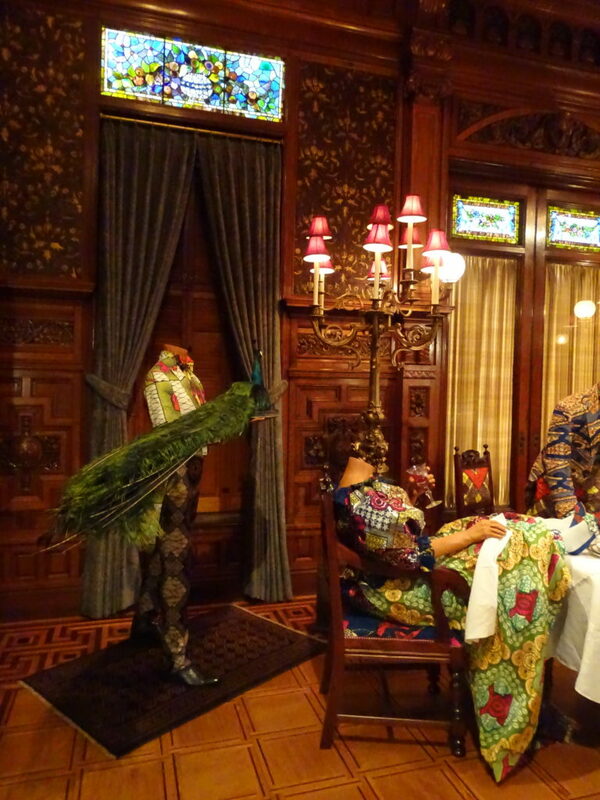 Six headless mannequins lounge around the table wearing beautiful African-inspired patterns, enjoying wine, oysters and quail eggs and a colorful headless waiter serves a feathered peacock on a platter. With matching flowers and upholstered chairs, the patterns are meticulously coordinated. Strangely silent but full of noisy vibrancy, frozen in a moment in a time long ago, the dining room has suddenly come alive in this decadent display. 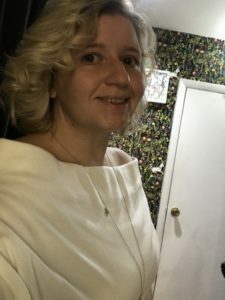 And in the library around the corner stands Big Boy – a giant, headless mannequin underneath the the skylight with a multi-pattern, colored jacket that Oscar Wilde might have sported. The Driehaus Museum located in Chicago’s River North is a homage to the Gilded Age, the period following the Civil War. Formerly, a show house for the Nickersons, a wealthy, influential family, which made its riches in the distilling industry and later the Chicago Railroad. The mansion has a new resident boldly changing our perspective of history. 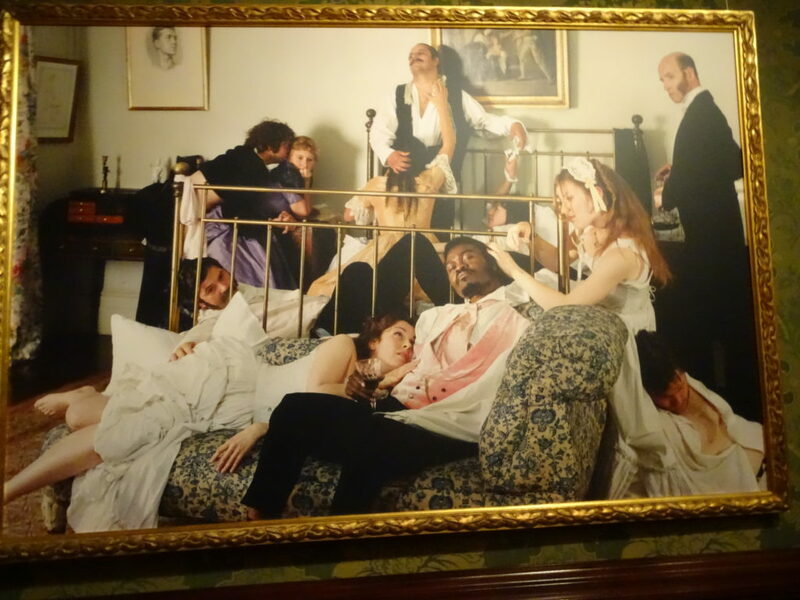 Like a mercurial time bandit, celebrated British artist Yinka Shonibare has invaded the Driehaus, rewriting the Victorian era in his latest installation. At first glance, it seems a humorous depiction of the latter 19th century with the use of vivid African textiles or presenting himself as the main character in the photo exhibits of scenes from classic Victorian age novels: Picture of Dorian Gray and Diary of a Victorian Dandy. But Shonibare takes the viewer through multicultural historical journey. “Fabricating history inbreeding race, class politics,” according the Driehaus, illustrates the artist’s interests in the Gilded and Victorian eras. The latter intertwined with artist’s Nigerian roots. 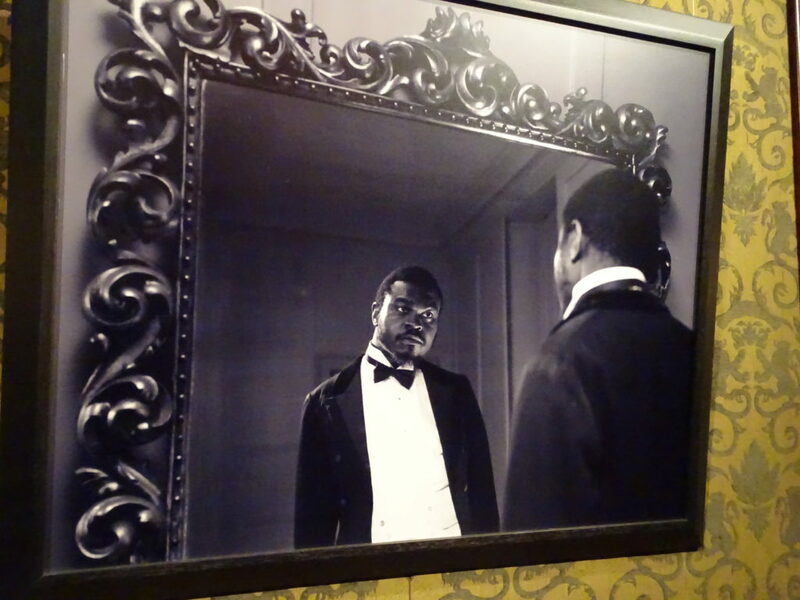 It seems unlikely that Shonibare, a man of African descent, would have been as wealthy as Dorian Gray, the artist. His invasion of time, however, has inserted his own story into the narrative. Nigeria was also a former British colony, and fabrics brought to the U.K. from Africa created a buzz among the country’s wealthy class. The outfits Shonibare uses for the mannequins reflects this. The African-inspired designs he uses ironically come Switzerland, Holland and the U.K. But rather that dismiss it as cultural appropriation, Shonibare believes they reflect Western Europes complex colonial history. The Child on a Unicycle 2005 – is another headless surprise greets us by the stairs, sporting again the similar African patterns on 19th century-style clothing oddly blends in with the old Nickerson mansion. Like his other works at the Driehaus, Shonibare is not a cultural clash, but a personal journey of interwoven identities. It is an odd journey, but Shonibare has given the 19th century a topsy turvy makeover by challenging us, as viewers, to rethink our understanding of the past. Western European and African histories are woven together, for better or indeed far worse, but both have influenced each other. The exhibit continues through September 29, 2019. Please visit the Driehaus for upcoming events. 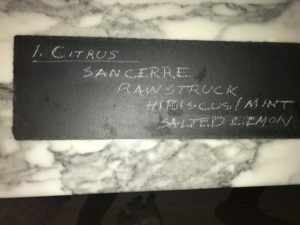 I’ve always passed Scarpetta in Nomad on my way to work wondering about the food and how the cocktails tasted. 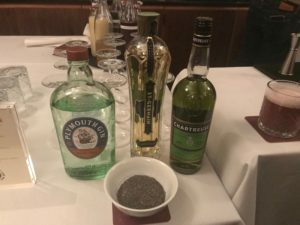 Then I was recently invited to Brew Lab Tea and Scarpetta’s Botanical Cocktail tasting to discover the wonderful world of tea cocktails. At the event, I was greeted with La Dolce Vita cocktail, a blend of the prosecco, vermouth and Spring Trellis Syrup. It was a great starter to get my night going. 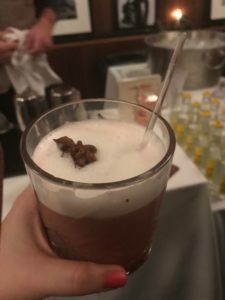 While sipping on this tasty treat, I met Brew Lab Tea’s Founder & Tea Sommelier, Jennie Ripps who educated me about her brand and their partnership with The James Hotel Nomad’s restaurants Scarpetta and The Seville. Each of the cocktails served from Scarpetta’s Head Mixologist, Brad Carnation, a variety of spirits, teas, and botanicals. 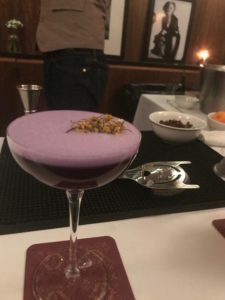 Each cocktail was more fascinating than the next. The No-groni is a unique blend of teas to make a virgin drink of this classic cocktail. 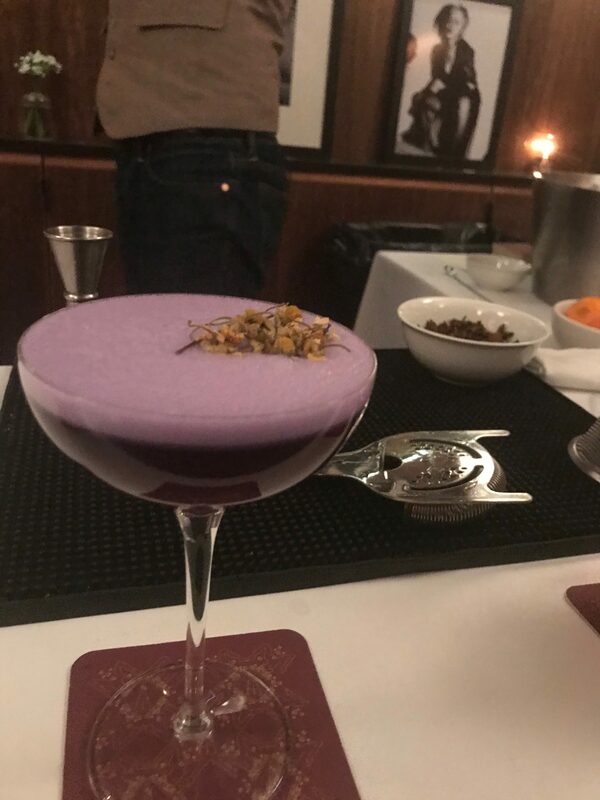 The Violetta cocktail is an eye stopper of a cocktail due to its purple color from the pea flower tea syrup used. 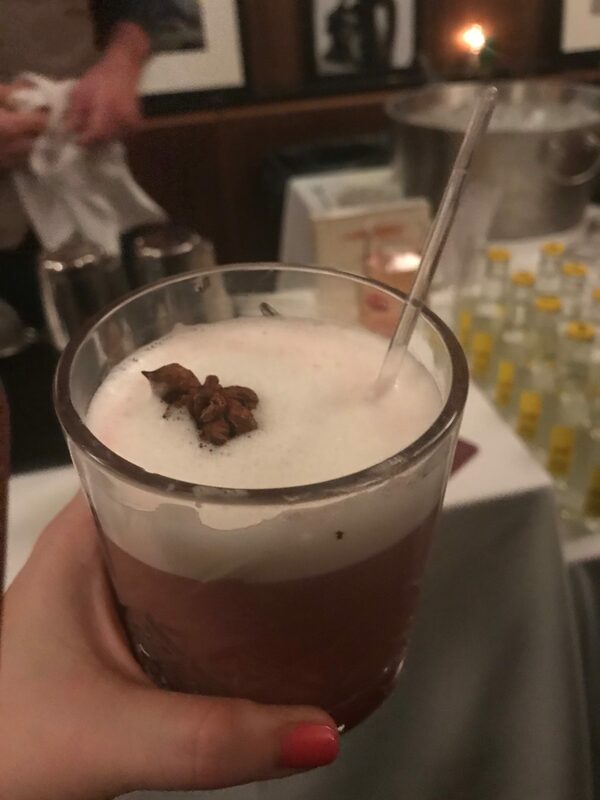 My ultimate favorite was the NY Whiskey Sour, a classic take on the New York Sour but with a malbec chai ice cube that transformed the taste of the drink after each sip. 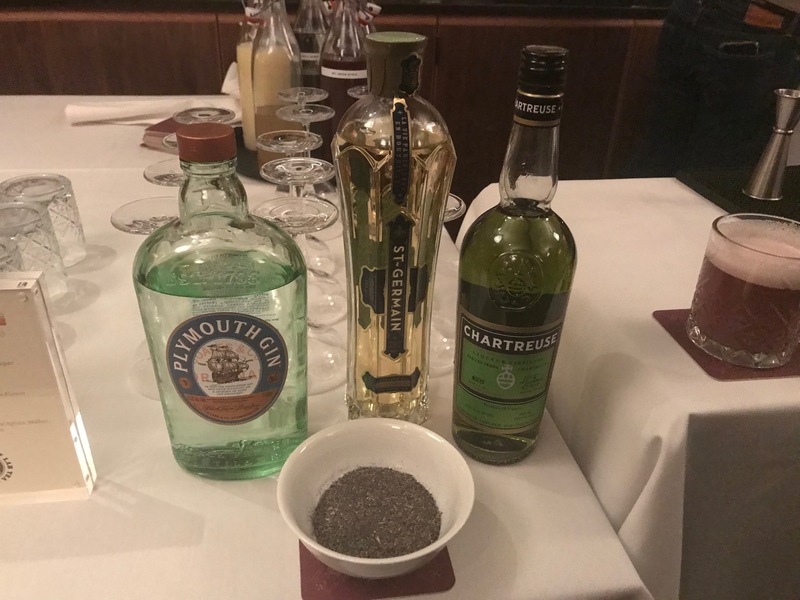 At the end of the night, I was able to leave by making a blend of the teas used for these cocktails. 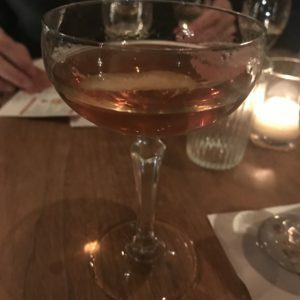 This parting gift will ensure that I make some of these sippable cocktails from the comfort of my own home. “It’s more fun to look at history through a lens of alcohol,” Liz Garibay, found of the Chicago Brewseum said raising her beer bottle to the audience. 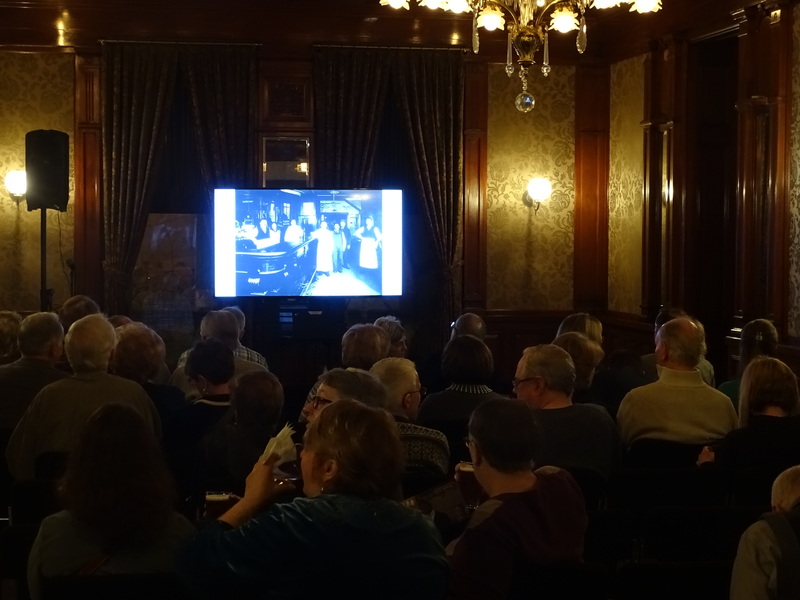 We’re at the Driehaus Museum in River North for a lecture with Liz and Doug Hurst of local based- Metropolitan Brewery on the beer legacy of the German immigrants in Chicago. Their introduction of cold, crisp lagers and pilsners forever changed the industry. For those unfamiliar with the Driehaus mansion on Erie and Wabash, its history dates back to the 19th century and is one of Chicago’s best museums devoted to exhibits revolving around the Victorian, Edwardian and Gilded ages. The history of Chicago is “rooted in beer” explains Hurst. 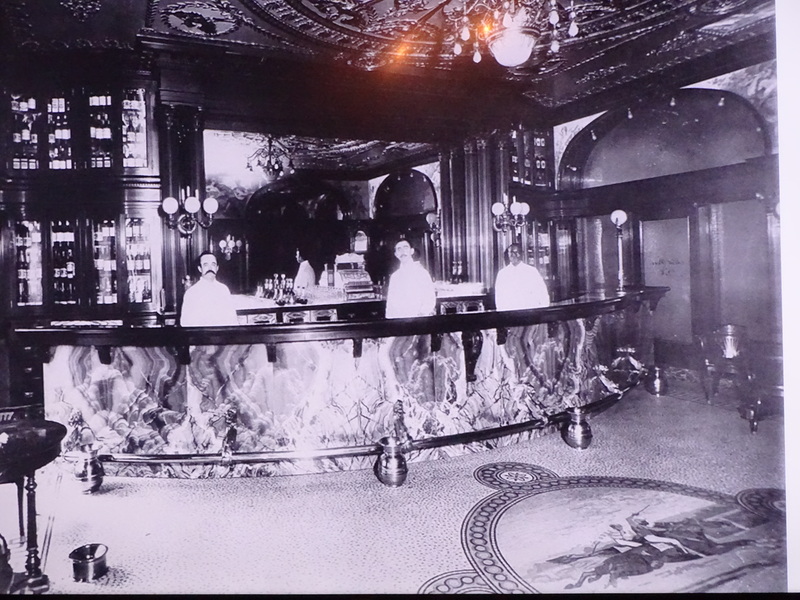 And the brewing industry dates back to the 1830s when Chicago was a fledgling township. There were only three main bars that stood by the forks of the Chicago River, and everyone drank British-style porters and ales. The city of Chicago began to take shape. Waves of immigrants from Europe and elsewhere arrived including the Germans, among whom opened Chicago’s first brewery. In the beginning, they produced mainly British ales, but by the 1840s, the demand for refreshing lagers grew as more Germans arrived. Beer gardens began to spring up and cold lagers overtook the room temperature ales and porters. Chicago would even eventually open its first brewery school in 1872, a year after the Chicago Fire. The city was seemingly on the cusp of a golden beer age with nearly 2,400 brewery projects. However, cruel backlash fueled by an unlikely alliance of the puritanical Temperance Movement and the anti-immigrant American, or “Know Nothing” Party, set forth to crush the brewing industry. The city’s nationalist Mayor Levi Boone raised brewery licensing fees and restricted sales. The Germans along with other minority groups rioted. Although Boone later lost in the next election, the beer industry never quite recovered because a series of setbacks. The second major blow was Prohibition. And even after 1933, the number of breweries continued to drop. The third, according to Hurst, was refrigeration and pasteurization, which the final coup de grâce to local breweries as it became easier to transport cheaper, mass-produced beers from elsewhere. It wasn’t until the 1980s, when the craft beer revolution began with breweries such as Goose Island who introduced big, bold flavors. 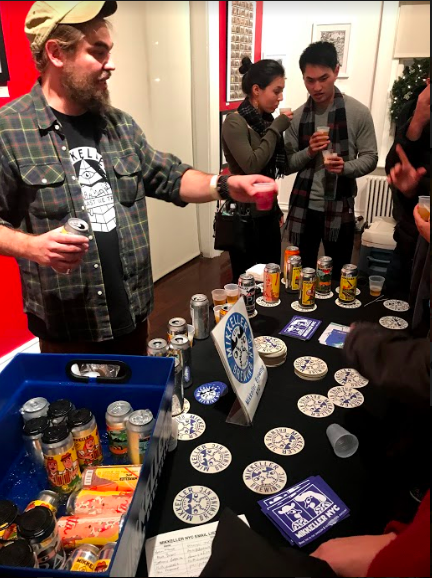 As Garrett Oliver of Brooklyn Brewery once said, “Craft Beer is truth.” And more and more artisanal breweries began to surface, driven by a passion for genuine flavors. Today, there are 86 breweries in city, over a hundred in the Chicagoland area. While some have unfairly targeted lager as the watered-down enemy, Metropolitan Brewery has brought back robust German style beer with its Kölsch-style Krankshaft and Magnetron – an unusual dark lager. Visit the Chicago Brewmuseum exhibition at the Field Museum through January 5, 2020. 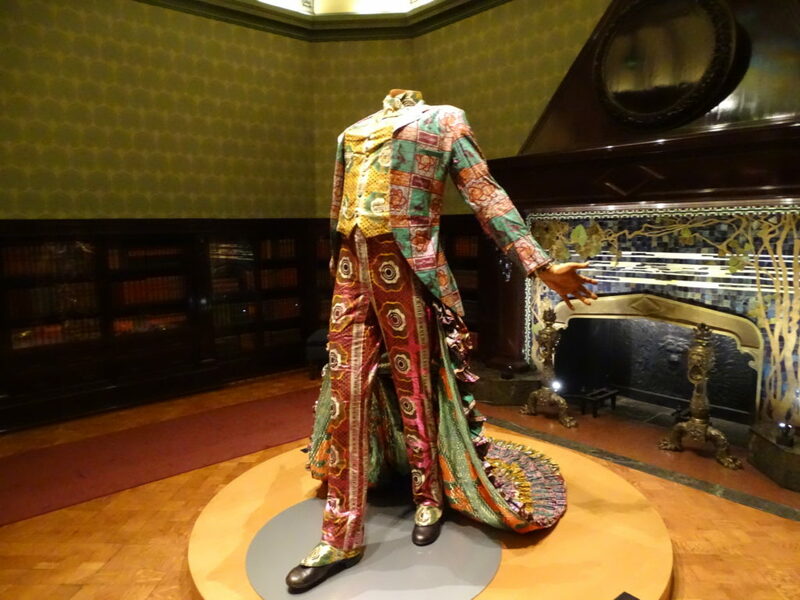 Don’t miss Nigerian-British artist Yinka Shonibare’s upcoming exhibit at the Driehaus Museum, which opens March 2nd through September 29th, 2019. Whiskey is water from the gods! So good, so tasty. I’m always trying to broaden my horizons with whiskey since I’ve acquired a taste for it over the past two years. A new one came past my desk recently, Arran Whisky. I was fortunate enough to receive an invite to their Burns Night Event. Upon my arrival at Scottish gastro-pub Highlands NYC, I knew this would be fun. From the tartan lampshades to the buck head trophies on the walls. I sat a long table with some of the most sought-after NYC spirit writers and bloggers with an array of beautiful brown whiskys. We were greeted with Rabbie Burns cocktail and appetizers of blood sausages, Eventually, our Scottish brand ambassador David Ferguson explained the whiskeys to us. One by one, we sipped their single malt, 10 year old malt, 21 year old malt, and machrie moor. Each whisky had their own distinct flavor from being spicy to peety. After the tasting was over, we had a traditional bagpiper play in front of us. It was so amazing to have him play familiar Scottish tunes in such an intimate space. 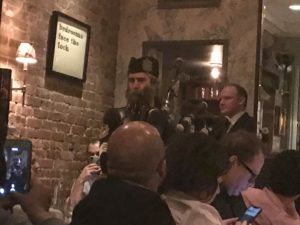 Then the owner of the Highlands NYC, took out the much-anticipated haggis. 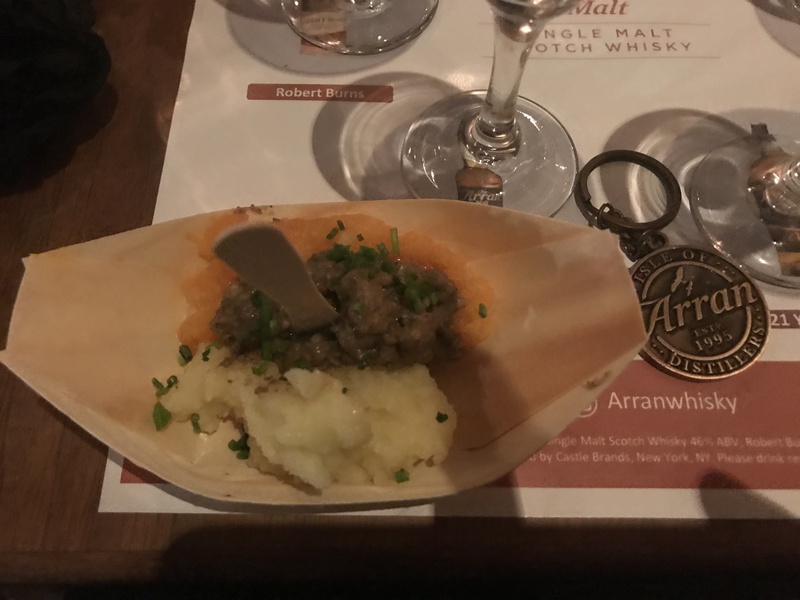 Yes, haggis, a traditional burn night’s dish. Everyone received a small piece of haggis with mashed potatoes and turnip. I actually, really enjoyed it, despite the bad rap on this side of the Atlantic. We enjoyed our food and our drams. If you are looking for fine scotch, Arran Whiskey is a definite must on your shopping list. On December 12th, Johnnie Walker hosted an exclusive look at their pop-up store for their VIP’s. This holiday pop-up powered by personal gift concierge app Giftagram allows last-minute shoppers at Brookfield Place’s stunning Winter Garden atrium the ability to engrave Johnnie Walker bottles and the scotch whisky tastings during the holiday season. 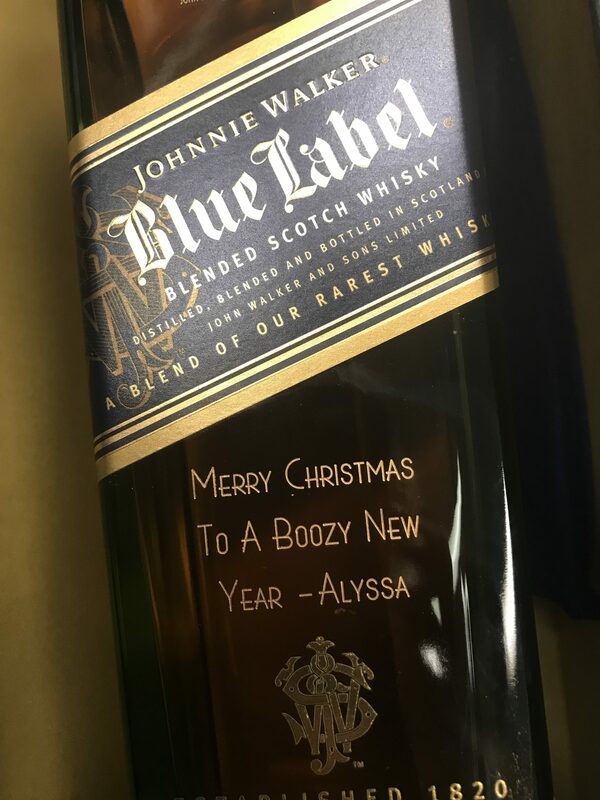 VIP’s used Giftagram, a personal gift concierge app to order a bottle of Johnnie Walker Blue Label right from the engraving studio. 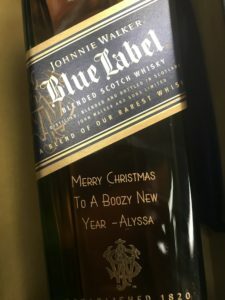 The bottle was engraved on the scene, so guests had the ability to walk away with a personalized bottle in-hand or have it shipped to someone special just in time for the holidays. Guests are able to engage their own bottles from now until December 24th. I love a good ole fashion workout challenge. I needed to find something different to do since my personal trainer wasn’t available over the week. 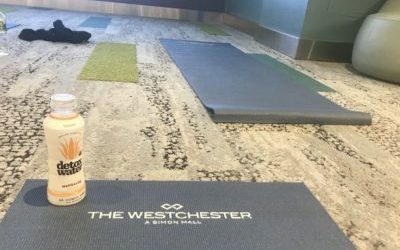 Conveniently, I was invited to check out one of Susan Sweats High Intensity Interval Training at the Westchester Mall that weekend and it surely was an intense workout. I got to the Connect Lounge at The Westchester Mall to find mats laid out for our workout with towels. As soon as I saw this, I knew I was going to break a sweat! I brought my Detoxwater to help give me a boost during the workout. 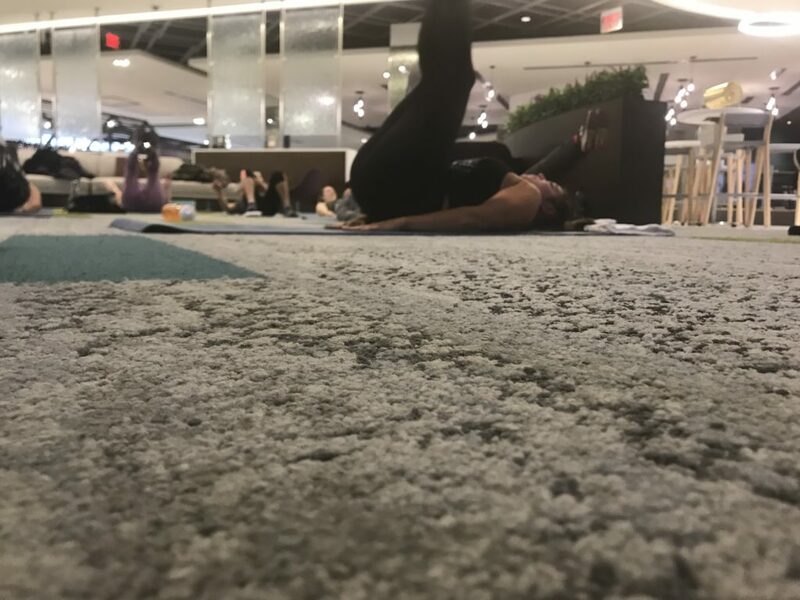 Our teacher Lindsay from Fly Wheel Scarsdale, got us pumped with great tunes. We did plenty of squats, lunges, and planks. The class managed to do 45 minutes of heart-racing activities. Afterwards, we received a voucher for free parking and discount for The Little Beet for a job well done. It was totally worth it! This series will continue in the new year. I look forward to the next one!! 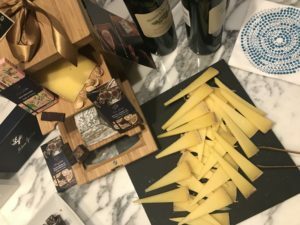 If there are three delicacies in the world, in my book it would be chocolate, wine, and of course, cheese. 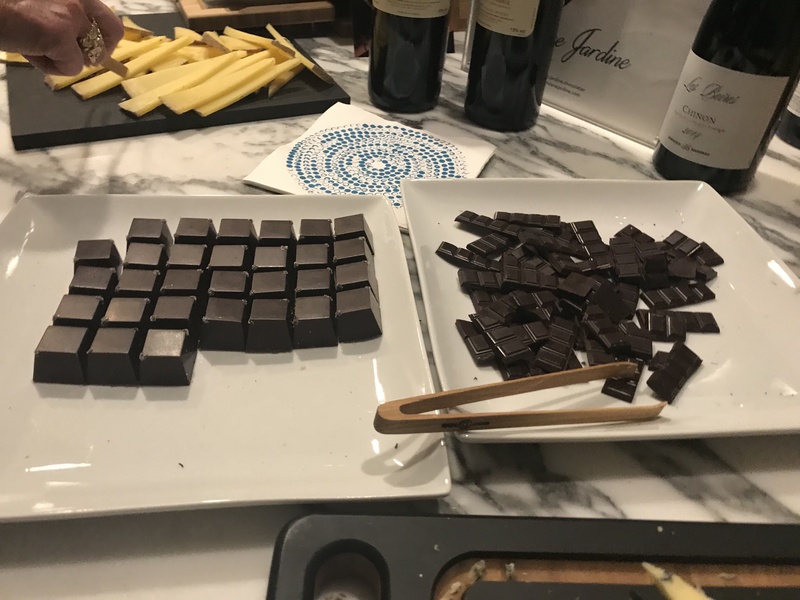 Warburg Realty hosted a chocolate launch party with Milène Jardine Chocolatier in the lovely Manhattan to celebrate their new flavors. 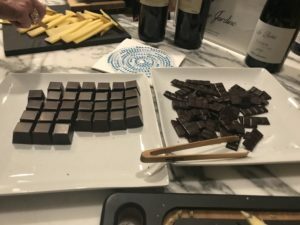 Milène Jardine Chocolatier offers artisanal, international chocolate truffles inspired by my personal mantra: Live by Love. I discovered why guests were raving about their chocolatey goodness before I even entered the room. These high-quality chocolates were exquisite yet complex that kept making me run back for more. The cheeses were kept fresh with the Cheese Grotto. They were phenomenal to look at and made the cheese taste great. This event was everything my heart (and stomach) ever desires. An impressive display of amazing cheeses greeted guests at the historical Flushing Town Hall. 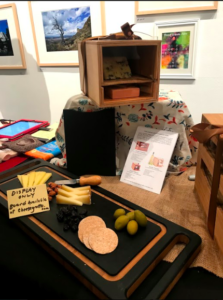 24 booths of different cheesemakers from the Northeast showcased some amazing cheeses. While American cheese was once the laughing stock of the global cheese industry, artisanal makers, particularly from the East Coast have put their own stamp on an old tradition. 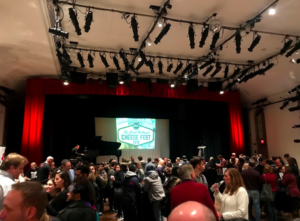 The Flushing Town Hall was like a cheese cathedral with the main event upstairs: a feeding frenzy of cheese heaven. 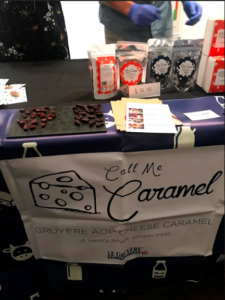 There were classic flavors and seemingly strange combinations that oddly worked like cheese and caramel. 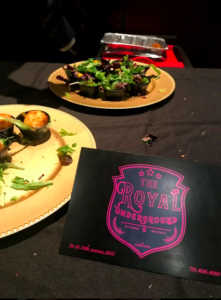 Besides cheese, there were local finger foods, booze, healthy drinks, and various other things to enjoy at this incredible event. Upon check-in, all guests were given 3 pieces of white beans to put in the jars of their 3 favorite booths. Personal favorites included Merion Park Cheese Company and Nettle Meadow. Newcomer Merion Park Cheese, an urban cheese maker located outside of Philly, made its debut at the cheese fest, proudly presenting their two cheeses: Martha Street and Cynwyd Knoll. The Martha Street washed-rind cheese had a nice beer flavor to it, and even if you prefer other alcoholic drinks than beer (like myself), the tomme cheese and beer taste really worked together. 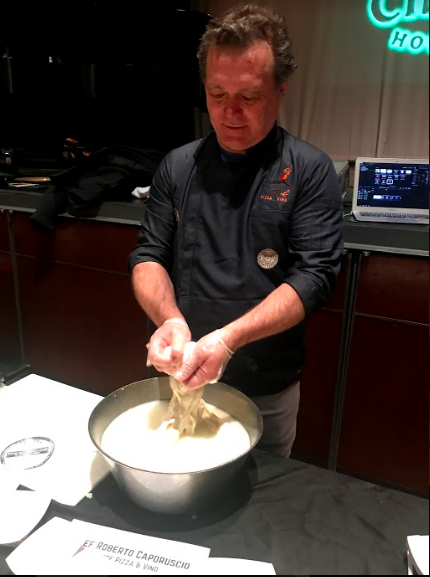 Owner, Mr. Tatar, explained that instead of adding water, they add farmhouse ale to the cheese during the cheese making process. 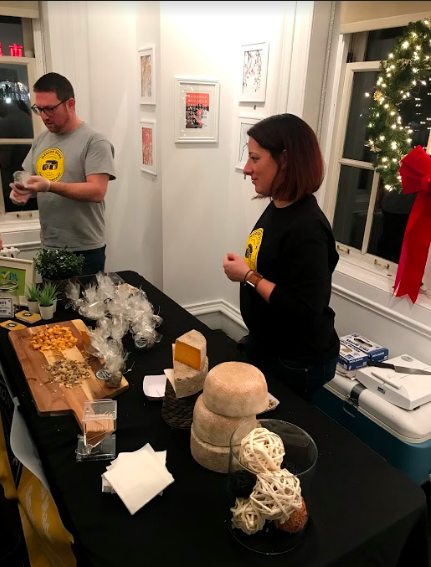 Although it was the first cheese booth that I visited, the Martha Street cheese and the creamy, garlic flavor of Cynwyd Knoll immediately became two of my favorites and I placed a bean in Merion Park’s jar. Their cheeses proved so popular, they rapidly sold out of Cynwyd Knoll, and I happily bought their Martha Street cheese. 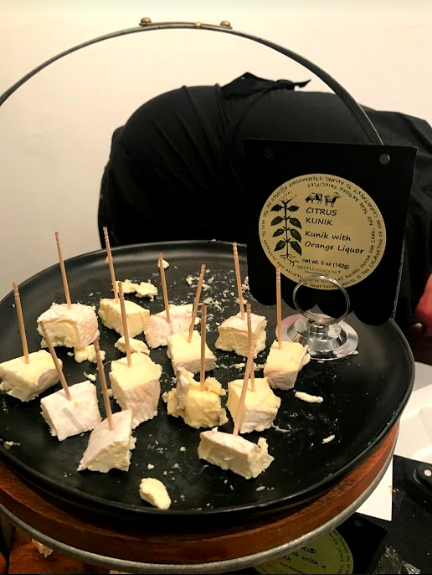 Nettle Meadow‘s holiday cheeses included their Citrus Kunik with orange liqueur. “The citrus takes off the zing of the cheese,” explained one of the lovely ladies at the booth. What is kunik? It is an Eskimo word meaning “snow and kiss.” It “has a goat kick to it,” one of the ladies added. Nettle Meadow’s other cheeses included: Partridge Mountain (cow cheese), Three Sisters (three-mild ripened cow cheese), and various cheese spreads such as Pfeffernusse Fromage Frais, which was surprisingly sweet (just the right amount) because of maple syrup added to the flavor, and was absolutely delicious. Very satisfied, my friend and I placed our beans in their jar as well. Between cheese tastings, we chose a spot of liquid refreshment. Natalie’s Orchid Island Juice, a women-owned family operated business, Mikkeller Brewing from Flushing, Queens, and Tea and Milk’s unusual combination of Oolong tea and their signature cream helped refresh the palette after tasting so many delicious cheeses. Mikkeller Brewing Company’s dessert beer, the Hibiscus Pale Ale, was surprisingly dry and slightly tart. As for Tea and Milk’s cream and Oolong tea combination, I found myself scraping my plastic cup to get the last drop of cream. “Would you like more cream?” the friendly people at the booth asked me, and I laughed embarrassingly. There were the familiar freebies which greeted guests on the second floor, as the Yelp booth handed out Yelp-printed chopsticks (Ok, is this because we were in Flushing, or because I am Asian?). The second floor was definitely poppin’ with live music from the grand piano and finger foods in addition to the cheese booths. 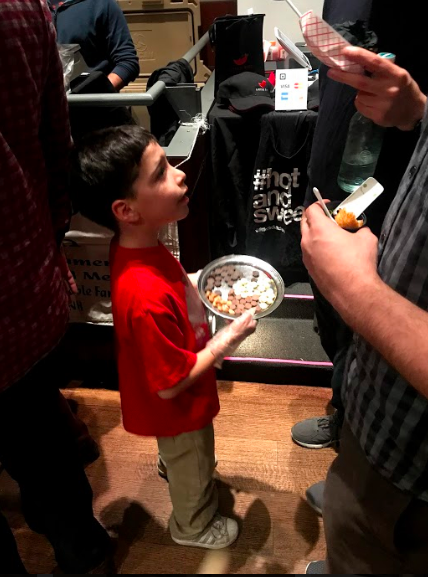 An adorable little boy from Little Bird Kitchen was carrying a tray around with their ‘hot & sweet’ chocolates and nuts. “Please vote for us,” the boy said as he walked around in front of his family’s booth. His tray had chocolates and nuts with jalapeños added to the flavor, which surprisingly went well together. The peppery taste came at the end after the sweetness faded off. It was definitely a perfect combination of hot and sweet. The Royal Underground restaurant and whiskey club, which just opened on December 14th in Astoria, was there as well, dishing out goat cheese croquettes. Next to the Royal Underground, chef Roberto Caporuscio from Kesté Pizza & Vino served fresh mozzarella. As my friend and I were getting cheesed-out, we happily took a bottle of free Galvanina Natural Mineral Water. When the winners Nettle Meadow and The Royal Underground were announced, we left the cheese festival with a full stomach and loads of cheesy thoughts. For more information on upcoming events, please visit Epicurean Events. I recently was invited to BoConcept, an amazing furniture store that with bold designs and stylish furniture, to an event simply called Prescribing Hygge. 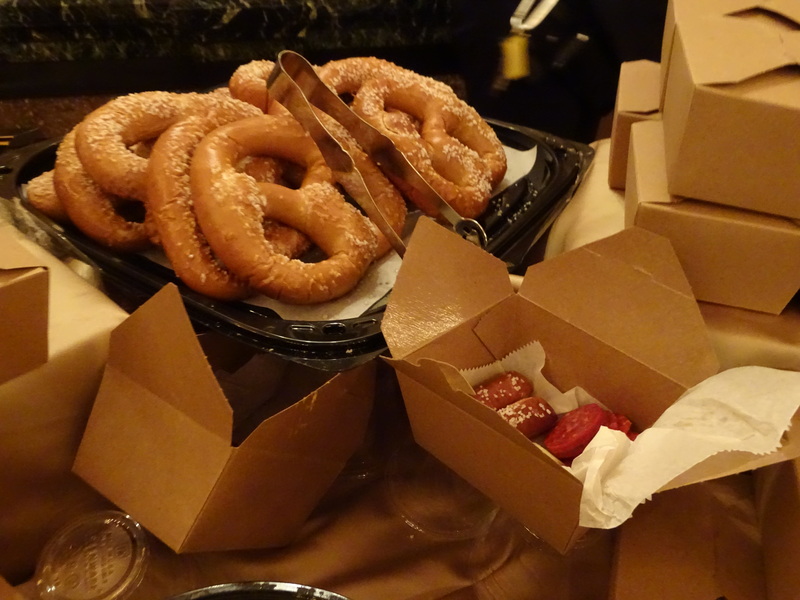 In partnership with VisitDenmark and Scandinavian Airlines System, the night was filled with Danish delights. Hygge has been super trendy lately, so I figure this was the best opportunity to learn what it is. What is Hygge? Yes, it’s a funny looking word but it is also inexplicably linked with Danish and Scandinavian culture. With no direct translation to other languages, at its core, hygge is simply about warmth, closeness and spending quality time with the people we love. The Little Book of Hygge Author and CEO of the Happiness Research Institute Meik Wiking spoke about the current cultural trend of hygge I learn about how spending time with other and talking about how to hygge makes everyone friendlier. Culinary Personality and Scandinavian Chef Fredrik Berselius recreating traditional Danish dishes, which includes great rice pudding. On top of that, there were danishes that were to die for. 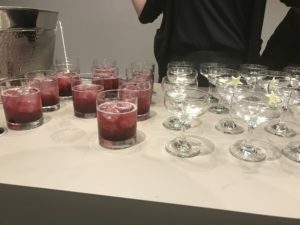 One of my favorites were cocktails from the new book Spirit of the North by Selma Slabiak. 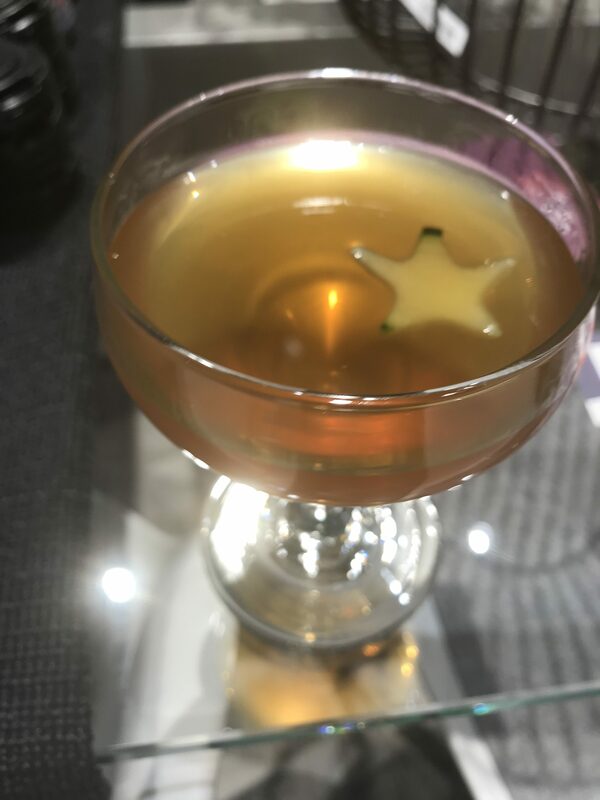 She made three cocktails from the book. My personal favorite was the white glogg with almonds on top. Truly, delicious. I loved all the Danish and Scandinavian touches. 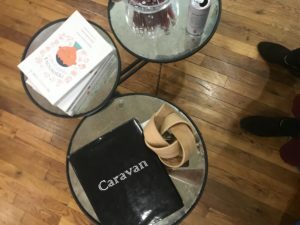 My personal favorite was the How to Hygge Viewmasters. 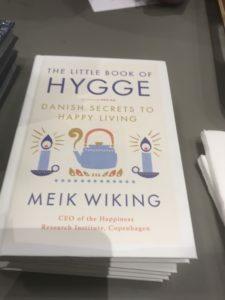 I encourage everyone to hygge more and hopefully, I can visit Denmark soon.